The system dials through the SIM card in case of intrusion & sends SMS to the required Mobile numbers. The system dials up to 6 Telephone numbers and plays an alarming sound, during intrusion. A programmable message can be played through an optional Voice card. In order to cater to the increasing requirement of our clients we are delivering Security Alarm System. The entire range is quality tested on various parameters to make sure of its smooth functioning. Warning & Signal device for individual person. If the person using firefly II is motionless for 20 second, a prealarm sounded, if he dose not move a constantly repeating signal of 95 DB sounds, this helps to find the injured persons easily, affixed to shoulder strap or hip bell it is water tight & explosion proof. We are Leading Manufacturers of Security Alarm Systems. In order to fulfill the changing demands of our clients, we are offering a quality range of GE Intelligent Monitor Modules. These modules are specially designed and manufactured by the professionals, who employ latest technology at par with the international quality standards in developing the offered range. Intrusion Alarm System (also known as Burglar) is one of the widely used systems for safety and security of a House/ Office. 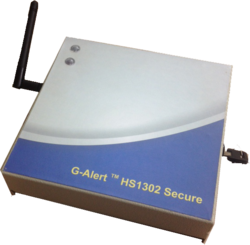 Intrusion alarm is a customized system, and has different kind of components which can be integrated together depending on requirement of customer. We present an excellent quality of Wireless System / Intruder System - Wired System that is available in both wireless and wire panels. These products are manufactured with the advanced machines using superior quality raw materials.. These are available in various specifications based on the requirement of the client. They are accessed at affordable prices in the market.